It's our second time featuring the incredible Stine Grove here at Amsterdam Trance Records and with the first release 'Cage Bird' with Nitrous Oxide reaching the Beatport Trance Top 20, we can't wait to see what this one does! 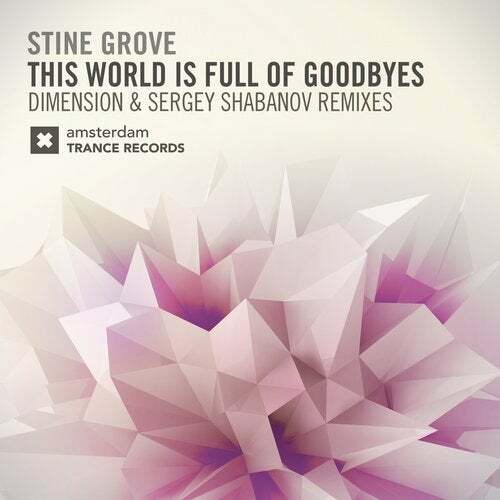 Stine's vocal performances are unmatched, the emotion and energy poured into every track is breath taking and we're proud to bring you 'This World Is Full of Goodbyes'. Fans of Trance and Vocal Trance alike are going to love this one as we've put together a sensational remix package. First up is a solid, well measured production from Dimension which perfectly lifts Stines vocals into a dream state. Following on is Sergey Shabanov with an absolute belter of a track as he cranks up the BPM and the euphoria, simply breathtaking.